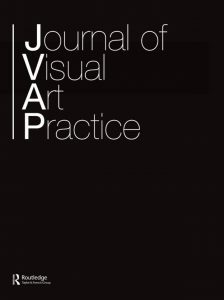 The special issue of JVAP includes essays by Amanda Beech, Roger M. Buergel, Bridget Crone, Andrew Hunt, Jaspar Joseph Lester, Matthew Poole, Paul O’Neill and Mick Wilson. A standard comprehension of curatorial practice is conditioned upon the organizing of relations between objects and meaning, between art and its perception and between objects and other objects. A widespread tendency established in a culture of critique in art and curatorial practice responds to this primacy of the organizational by retreating from it by producing ‘open frameworks of interaction’ in the hope that this naturalism will secure itself away from what it sees to be problematic instrumentalism of the image. This attitude is underscored, moreover, in practices where the horror of a conscious inability to make this retreat is further standardized in ironic forms of production that correlate a theory of constraint to the materialities of economic dominance. This article argues that both these responses to meaning meet at the same terminus, impoverishing the image and its potential. Looking to and setting out some further problems within Quentin Meillassoux’s speculative materialism, this text seeks to move past these problematic realisms to examine the possibility for a future of the image without limits, asking first whether this thinking is possible, and if it is, what this demands for our understanding of its politics.